As soon as the warmer months start to roll around, we’re constantly hearing the tragic news relating to infants and toddlers being left in vehicles with no air conditioning or adult supervision. As a result, many of these children die. Much of the time, a child being left in a car isn’t intentional. Instead, the caregiver simply forgot that the child was in the car to begin with. There’s no denying that the temperatures found inside a car, especially one with the windows rolled up, will rise at a very rapid rate when no air conditioning is turned on. And not only will the temperature in a car rise to the outside temp, but it will far exceed it. Take for example an 80 degree day. The temp inside a car with windows rolled up and no air air conditioning will exceed 120 degrees. Even if the air is turned on, and/or the windows rolled down, it’s still negligent to leave a young child in a car by him or herself. Is there an effective way to combat the ever-increasing issue of children getting left in cars by their caregivers? Could a smart car seat be a remedy? Or even some other type of technology? TOMY International most certainly thinks so. It was in 2013 that the company started selling the “smart car seat.” It features iAlert technology that syncs with a user’s smartphone. The average cost of the car seat, which is available through Amazon, is about $284. It boasts several sensors, with one measuring the temperature of the car seat. It the sensor recognizes that the seat is getting too hot, it will send an alarm to the user’s phone. Additionally, if the seat isn’t properly installed, it will send an alert. Furthermore, alerts are sent when the car is in motion and the seat buckle has not been fastened. Still yet, something is better than nothing. Although the smart car seat isn’t fully functioning as it should be, it’s still better than having no smart car seat at all. And fortunately, TOMY has already reached out to Jackie D to let her know that the issues she raised are most definitely being addressed. Moving on, another type of valuable technology that could be of extreme support in similar circumstances are proximity sensors. When using the sensors, one is installed into a child’s car seat, while the other one stays with the caregiver. If the two sensors reach a certain distance from one another, an alarm sounds. This type of wireless technology is being sold by Baby Alert under the name ChildMinder SoftClip System Digital Wireless Technology Monitor. When in use, if the sensors are separated by more than 15 feet for a length of time exceeding six minutes, the alarm will sound. It’s available for purchase on Amazon for an average price of about $79.99. One of the downsides to using this type of technology is that just as caregivers have to remember the children in their car seats, they must remember the sensors as well. And not only one sensor, but two. One sensor gets clipped onto the car seat or placed under the seat, while the other one comes in key form that must stay with the caregiver. If either of the sensors are forgotten, the technology renders useless. Are the new technologies being used going to greatly reduce the number of children that die in hot cars? 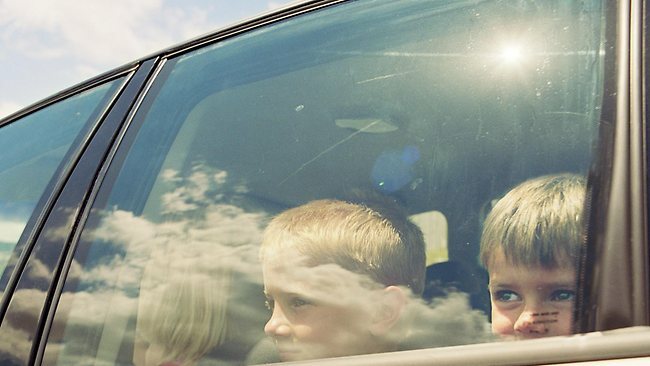 Hopefully they will reach their full potential, but still yet, it should be noted that nearly half of the children who die each year in hot cars tend to not be in car seats. About 30 percent of them get into hot cars without their caregivers knowing and then become trapped. And then there are the 17 percent of caregivers who leave children in the cars while running errands, only then to forget about them. We can only hope that car manufacturers will start integrating technology that detects humans or pets in a car. In doing this, if the temperatures exceeded a certain level, alarms could go off indicating that someone was left in the car. Such technology could save countless lives, including children and adults of any age. Another potential remedy would be to start GPS tracking children. Being that we track smartphones, keys, wallets and other items, it makes perfect sense that children should be tracked as well. In fact, some tech companies have already jumped on this bandwagon. A company started in Sweden known as Tinitell has been seeking funds to create a GPS bracelet that kids can wear. The product will boast both a GPS tracking device as well as a mini-phone. Although the device may not help infants, it could likely be used by both toddlers and older children. As of yet, there is no perfect solution for making sure children don’t get left in hot cars, and this especially rings true when caregivers intentionally leave them. And while it will take many years to perfect any type of technology for the purpose of making sure children don’t die as a result of being left in hot vehicles, it’s still comforting to know that potential solutions are already being created. Technology-based reminders are of the utmost value, but there’s still nothing that compares to caregivers being fully aware of their surroundings, including the children that they are taking care of. From paying special attention to kids around water to making sure they don’t get left behind in a hot vehicle, the ultimate responsibility of taking care of children always falls back on the caregivers, and there’s no technology that can fully takes a caregiver’s place.